iRoar has four integrated ways to be used. 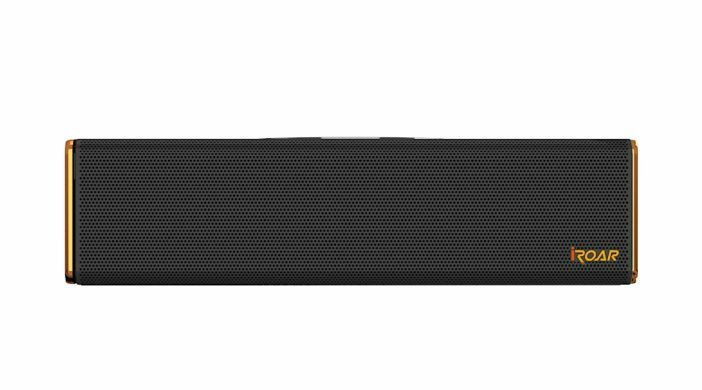 It can be a super duper wired or Bluetooth wireless speaker from any external analog or digital audio source, it can play and record audio content from and to a micro-SD card, it can play and record Bluetooth phone calls, and it can be used as a public address or karaoke speaker. iRoar can be operated with a custom app or using top deck orange and white LED symbols to control the functions. An included written manual in many languages explains all this and more with illustrations and text. A dedicated web site expands upon the user guide. Study iRoar’s web site information page for explanations and video on all its features. Learn how it charges rapidly and plays back for up to twenty house, can be paired to two different Bluetooth sources, and charges external USB devices. Read the rave reviews from Amazon purchasers, such as: Volume, if turned all the way up is nearly deafening. Distortion even at the maximum volume is undetectable. Then order your iRoar, bring it home or take it with you someplace, and rock the lug nuts off the wheels of your SUV, Mini Cooper, or Yaris. Play it loud in standard mode, then play it louder in Roar mode to fill an auditorium. Your music will sound the best and boldest and brightest you have ever heard from any one piece compact speaker, with clear, full spectrum sonic delivery at all listening levels and a wide array of angles. 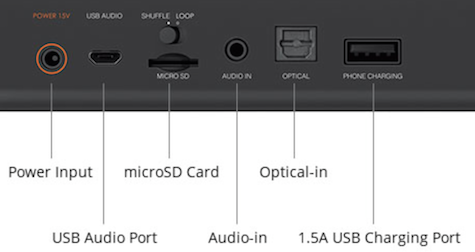 Using iRoar’s optical digital audio port, your television and multimedia sound will amaze your envious visitors. The physical iRoar is small enough to carry in a purse or a tiny tote, but heavy and massive enough to have your roommate or office neighbor ask for a transfer. This speaker establishes a new standard of excellence and versatility that will be hard to top, except by Creative Technology in the future. MyMac Review Rating is a perfect 10 out of 10.